May has been another record braking month for Pilot's Post as we are on 17300 hits with four more days to go before the end of the month. We have received many positive responses from our readers with suggestions, questions and comments. As a result, we have decided to reward some readers for their positive contribution, not only to Pilot's Post but also to aviation in South Africa. Erika Lambrechs is our first winner and she will receive a signed copy of Johan Lottering's book “Avoiding Fatal Flying Traps”. Erika was selected based on her quest to become a safer and more efficient pilot and we therefore felt that she can learn a lot from Johan's book. Safety is a mind-set and Erika's questions and comments made it clear that she was serious about safety. Thank You Erika!!! I am sure you will enjoy the book and learn from it. The month of May also had some very interesting events and the Defence Air Capability Demonstration was certainly one of the highlights. For those who have not attended this demonstration, it is truly out of this world and the most comments we received regarding the photographs we publish on Pilot's Post resulted from this article. 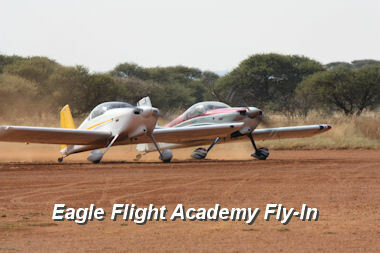 The Eagle Flight Academy Fly-In was not only a highlight of May but will probably be a highlight of the year. 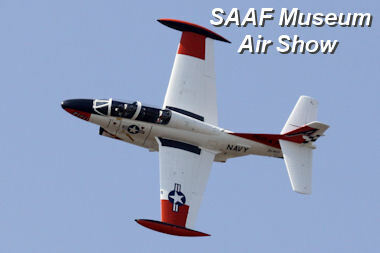 Unfortunately the Eagle Flight Academy Fly-In and the Swartkops SAAF Museum Air Show took place on the same weekend and it was a toss of the coin to decide which one to attend. 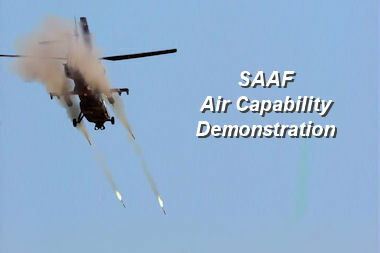 As usual the SAAF Museum air show was a huge success and what made it even more special was the participation of many privately owned aircraft that played a role in a military or air force capacity in any part of the world. Visitors therefore saw almost everything from the classic Tiger Moths to the fighter jets of today. The Grand Rand Air Show, an event that's been on every year's calendar for the past few years was also well attended, enjoyed and jam packed with spectacular civilian air show acts. 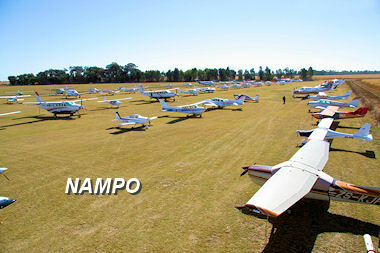 NAMPO was once again the biggest non-aviation fly-in in the country. With more than 350 aircraft attending this event, I find it surprising that we struggle to see 100 visiting aircraft at aviation events. 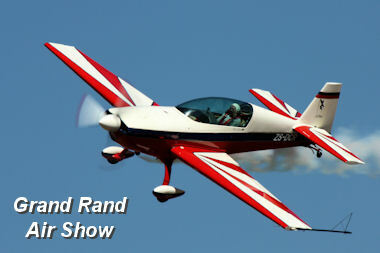 And then of course the President's Trophy Air Race held in Upington this year. Map reading in this area is challenging to say the least but winds of 30 knots added a few more headaches to some racers. Never the less, it was still enjoyed by all and they will all be back next year. Do you have a bucket list? 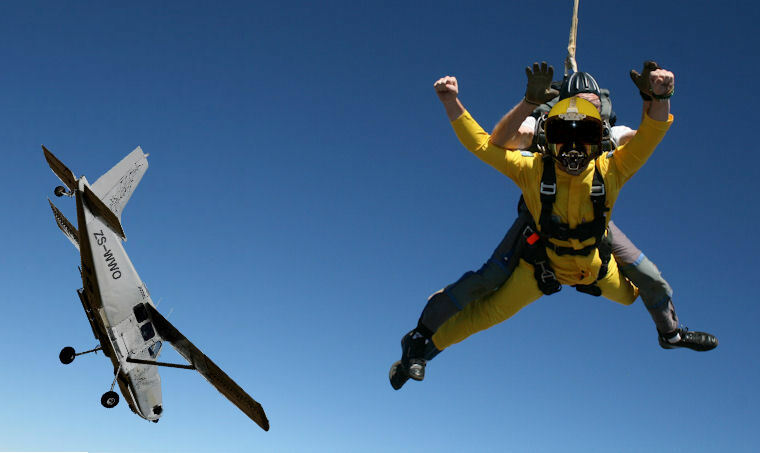 Well, the MIG gave us an article this month with another item for your list - Skydiving. I have checked it on my list and can confirm that it is something you must do at least once in your life. I am very anxious to see what the MIG is up to in June. Watch this space!! We also had a few sad moments this past month especially at the beginning when pilots and passengers lost their lives in the province of Kwazulu Natal in separate incidents. These were truly sad stories we all wonder how this could have happened. 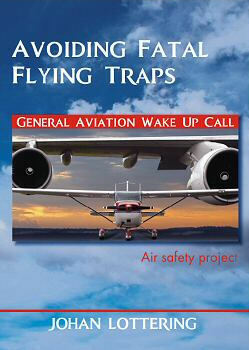 The fact of the matter is that aviation is safe but when things go wrong, the results could be devastating. 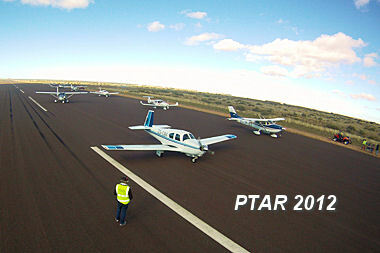 The Krugersdorp Flying Club and many other pilots in South Africa bid farewell to Frik Grobler on the 22 of May. Frik was an instructor at Krugersdorp for more than 45 years and have passed the art and privilege of flying to hundreds of pilots flying today. Many of these pilots were at the Jack Taylor Airfield on Tuesday the 22nd to honour Frik and what he has done for all of us for so many years. Appropriately, 10 aircraft performed a fly-past with 2 North American Navions and a Cessna 172 flying the missing man formation. Frik, we will never forget you and what you taught us all will be reflected in our flying until we meet you again! !